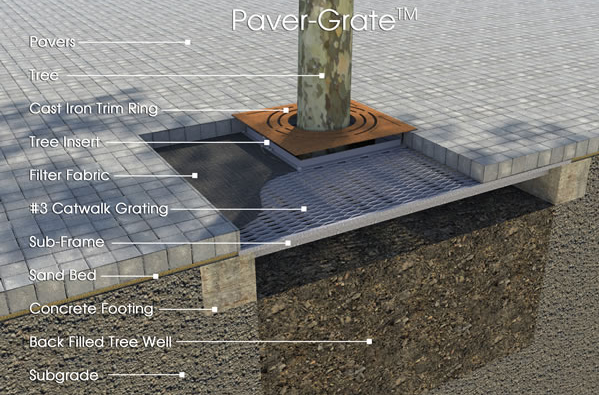 The Paver-Grate™ Pavement Suspension System from Ironsmith is flexible and effective. It can be utilized alone or in combination with traditional tree grates to increase the uncompacted root zone. 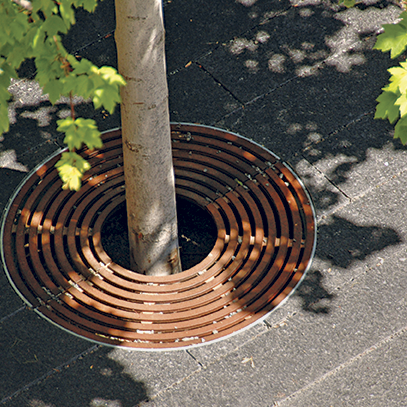 Options include decorative trim rings and integrated cast tree grates. Ironsmith can easily build custom assemblies to fit your design parameters. Contact Park Street to request full details on the extensive options for this system.